The classic car auction world has been full of record prices this season and the latest Bonhams Sale at the Beaulieu International Autojumble was no different. The auction was the perfect warm-up for the Goodwood Revival this weekend, seeing £3.4 million's worth of exotic machines changing hands. A number of models also sold for well over their estimated value at the most successful Beaulieu Sale to date. One car which sold for nearly double its estimate was a Bentley S3 Continental 'Flying Spur' sports saloon, which sold for a substantial £80,500. The top lot of the sale however, was a 1920 Vauxhall 30-98 E-Type (pictured above), which also outstripped its estimate, selling for £242,300 at Beaulieu – the first time it was offered publicly in 62 years. Also achieving a strong price was a 1936 Lagonda LG45 4½-Litre Fox & Nicholl Le Mans Team Car Replica which was bought by a European phone bidder for £180,700. 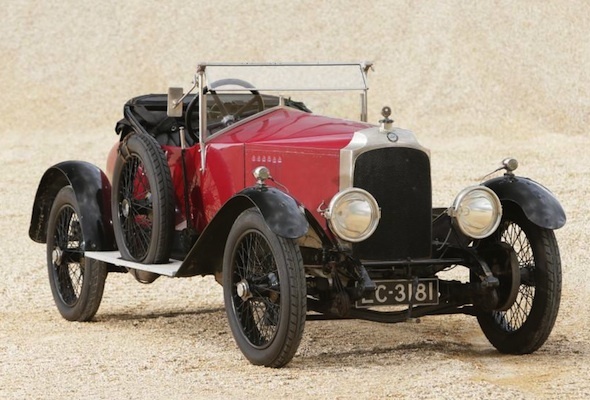 Another 1920s Vauxhall for sale had lain hidden in a London garage for nearly 30 years, and changed hands for £55,200. James Knight, Bonhams' head of motoring, said: "The team have great affection for this Sale. Bonhams are proud to embrace the entire spectrum of the Collectors' Motor Car market and the Beaulieu Sale has a leaning towards the more affordable end of the spectrum, and also motor cars in need of resurrection. With 125 motor cars alongside 35 motorcycles and 174 lots of automobilia, this years' annual autojumble was our best ever with some excellent sales achieved. "Many happy bidders turned out for the day, with projects proving particularly popular - a 1961 Jaguar E-Type project requiring complete restoration sold for almost four-times its estimate at £77,660; and proving Aston Martin's continued popularity amongst collectors - a DB Mk III Sports Saloon project achieved almost double its estimate at £93,340."